Enjoy Hostel is located in the heart of Miraflores, a lively tourist district in Lima. Our hostel is situated between Larcomar Mall, Kennedy Park, and the Green Coast Beaches - the three biggest tourists hangouts. 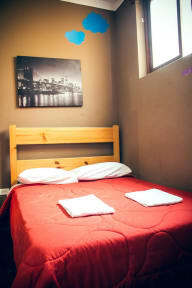 We offer private and shared rooms, a communal kitchen, and free internet. Our bathrooms are equipped with hot showers. 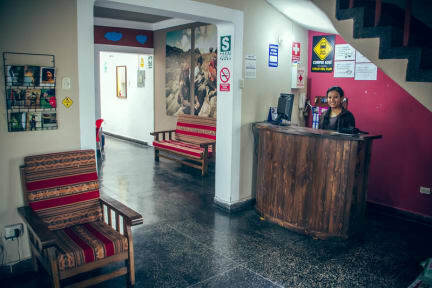 We have 24-hour check in and front desk service, and a tour desk where you can organise your next Peruvian holiday. Miraflores has a great nightlife with clubs, bars, and pubs on every street. If you want to party, you can start your night in our hostel's bar where we offers all your local beers and cocktails. Jorge Chavez International Airport is a 35 minutes' drive and downtown Lima is 30 minutes away by car from the hostel.